Who said libraries were a safe place? Wounded children could be found crawling through the library shelves during the holidays with huge gashes in their arms and face. Yuk! Kids stomachs turned with the creation of some very convincing wounds in the Wicked Wounds Workshop at Sutherland Library on Friday14th January. Kids learnt about their heart and examined blood under microscopes as well as creating some very gory and life like wounds. 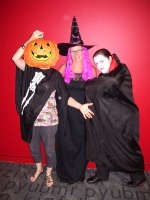 All who attended had loads of fun and enjoyed freaking people out as they left the library. 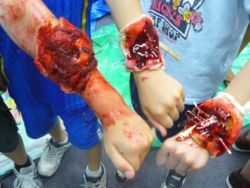 I only hope these wounds wont leave the kids scarred for life! 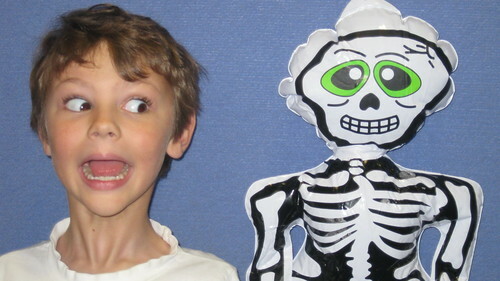 Each school holidays Sutherland Shire Libraries have some great programs and events for Kids. To find out more, check out our school holidays page or keep an eye out on our events calendar. Sutherland Shire Libraries now have a Facebook page. If you have a Facebook account, you can 'like' this page and be updated with all the news around Sutherland Shire Libraries. You'll find information about events, our collections, book reviews, feeds from our blog, photos and more. If you don't already have a Facebook account, you can sign up for one here. It's free, easy to use and you'll be able to quickly check out all the latest from your favourite Library. So take a look at our Facebook page today and tell us what you think. We'd love to hear from you. authors out there, so this is just a selection to get you started. Feel free to share your favourites with us. Donate to the Queensland Flood Relief Appeal and win great prizes! 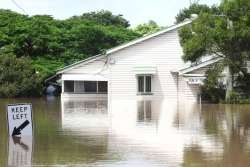 Writers across Australia have united to raise funds for the Queensland Flood Relief Appeal. Enter Writers on Rafts to win some great prizes donated by over 150 authors including Kate Moss, Rebecca Sparrow, Marcus Zusak, Mem Fox, Morris Gleitzman, Kathy Lette, Anita Heiss, Larissa Behrendt, Melina Marchetta, Kate Morton, Nick Earls and Poh Ling Yeow. 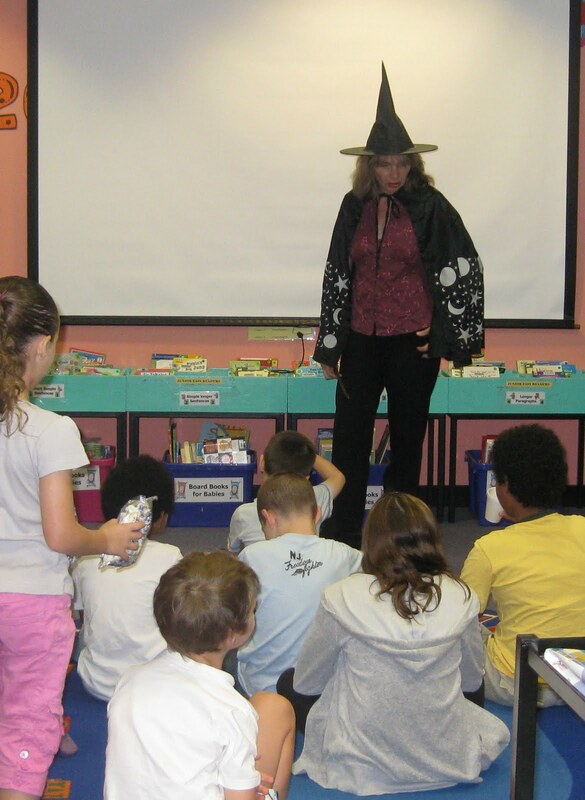 Author visit: have a local, participating author drop into your book club, school or writers group. Writer support: have your own work professionally developed. Character name: have a character named after you in a participating author's new work. You can enter each category as many times as you like and a winner from each state is picked per category. Tickets are $5.00 each. 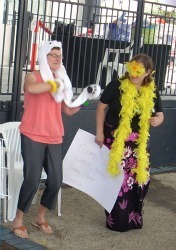 The fundraising goal is $20000 and prizes are drawn on 25th February so get in early to win great prizes. If you're a budding writer you might like to donate an original short story to the 100 Stories for Queensland anthology. 100% of sales from this anthology will go towards the Queensland Premier's Flood Relief Appeal. Submissions are now open for stories of any genre or for any age group that range from 500-1000 words. Submission deadline is Friday 28th January at 11.59pm so get your story in now. Christmas is a time for giving . . . and eating . . . and putting on weight. Now Sutherland Shire Libraries are here to help. This workshop covers information relating to the 5 food groups and the Australian Guide to Healthy Eating. It includes food we should eat, how much we should eat and tips for weight loss and cholesterol reduction. This workshop covers the nutritional needs of 1-4 year olds. It includes information on dealing with fussy eaters, the 5 food groups and how much your child should be eating from each and ideal beverages for children. Just in time for the new school year this workshop covers preparing easy, healthy packed lunches, nutritious breakfasts Kids will like, healthy snacks and beverages and health claims on food packets - what they really mean. This workshop covers the dietary needs for the older population. It includes easy and healthy meal, snack and beverage ideas, keeping active and health claims on food packets - what they really mean. These workshops will have you eating and snacking healthy in no time so don't miss out. Bookings are Essential. Please RSVP by calling 9710 0245. Happy, healthy eating! 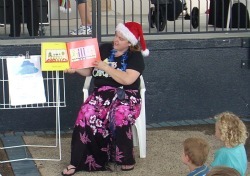 Just before Christmas, the friendly staff from Cronulla Library made an appearance in the mall with a very special Summertime Storytime. As the children gathered around the stage anticipating the fun they would have at Summertime Storytime; so did the STORM CLOUDS! But they had their own Christmas miracle - when we started to sing Jingle Bells, the rain stopped and the sun came out! Santa may have helped us out there as I am sure he was enjoying our singing from his throne that was located just behind us. The kids listened to a mix of beach and Christmas stories and particularly enjoyed the encore re-enactment of the book week award winning “Bear and Chook”. Bookatoo also made an appearance to wish all the boys and girls a Merry Christmas; with many hugs and hi fives in return. Debbie and Cheryl looked quite fetching in their Hawaiian inspired outfits and a good time was had by all. 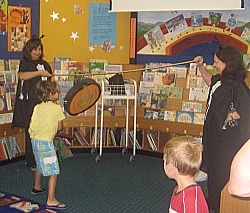 Regular preschool and after school Storytimes are held at Sutherland Shire Libraries throughout school terms. At these hour long sessions we read stories, sing rhymes, watch a DVD and make a simple craft. To find out the Storytime Day at your closest Library see our Storytime page. 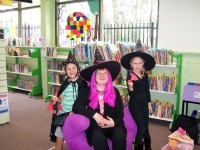 Things were a little scary at Menai Library last Friday during the Freaky Film Fest. Everyone is looking forward to having more frightening fun during our Spooky Time Fun holiday activity on Wednesday 19 January 10.30 - 11.30am. Bestsellers at your fingertips. FAST BACK has arrived! Special display of popular bestsellers available to borrow. No reservations, no renewals, no waiting! Collection updated regularly with new titles. 10 day loan period for fast returns. New FAST BACK collection at Sutherland Library, on display right by the elevator. A vibrant display of artworks by local artist Aurelia D. Roberts will be featured in the Southern Lounge at Sutherland Library from January to March 2011. Works include portraits and landscapes in oil and acrylic. Aurelia is a member of Friends of Hazelhurst and the Southern Cross Art Society. She began painting after retiring from full-time teaching. Head into the Library to view her colourful and interesting artwork. Have you ever been caught in a rip? Stuck in the current? Dragged under by waves that seemed so much smaller from the shore? I know I have - and it can be terrifying. Well now you can learn how to avoid those sticky situations with award winning scientist, university lecturer and published author Dr Rob Brander (aka 'Dr Rip'). Dr Rip will be holiding a free educational seminar and book launch aimed at helping you and your family keep safe in the surf this summer. Learn how to understand and 'read' the conditions of your favourite beach from a professional whose expertise has been used in media reports for '60 Minutes', '7:30 Report' and The Sydney Morning Herald. 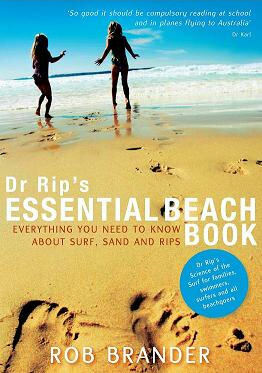 Following the Seminar, Cronulla Library will be hosting a book launch and signing for the newly released Dr Rip's Essential Beach Book : everything you wanted to know about surf, sand and rips. Copies will be available for sale at the launch. So get down to Cronulla Central this summer for a different kind of read - a read of the surf. The seminar is free but places are limited so Bookings are Essential! 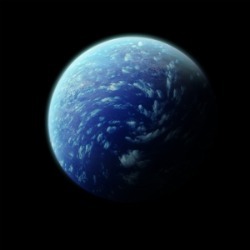 For more information visit http://www.scienceofthesurf.com/.